Chromium OS is an open source project, based on Linux kernel with Chrome browser as the main application interface. The communication mechanism between Chromium OS and its browser currently is via D-bus. 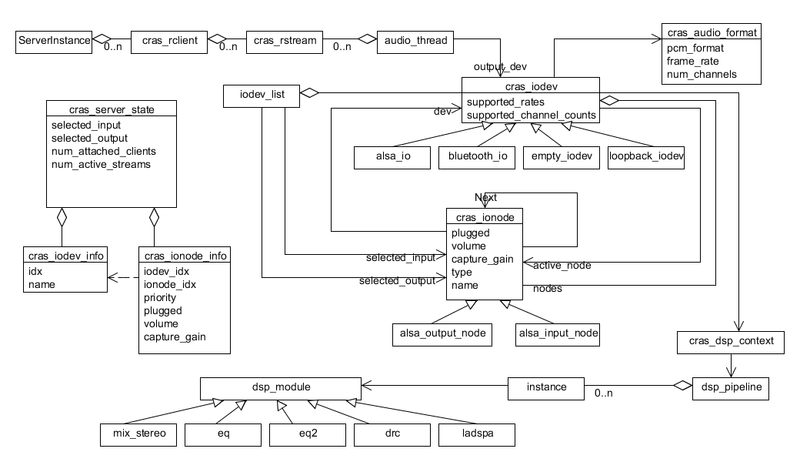 Output: Chrome connects to this audio server, sends audio data to it, then audio server renders this to the selected ALSA device through alsa-lib. 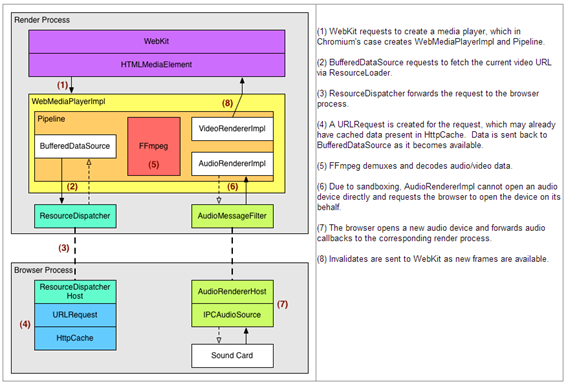 Input: the server will get audio samples from alsa and forward them to Chrome. 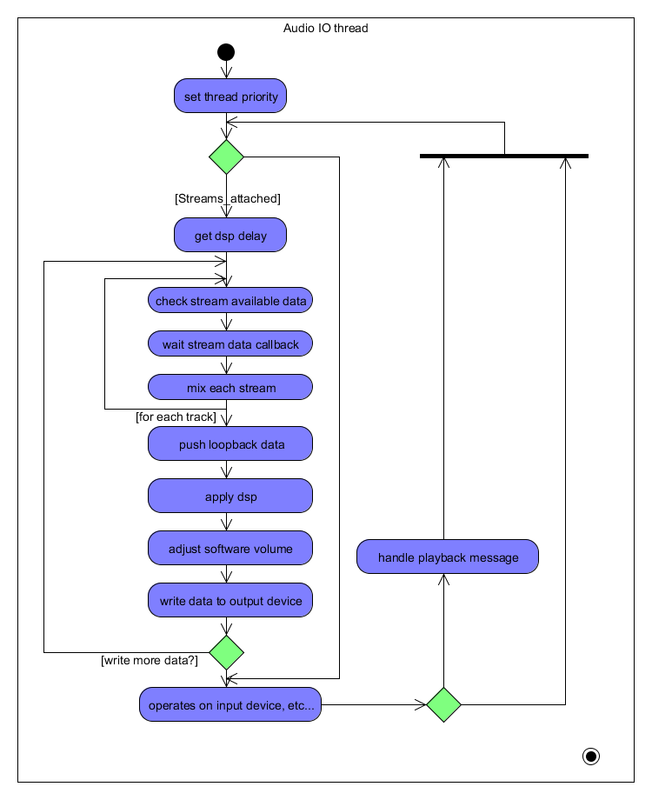 Audio IO thread is responsible for reading data from each stream, mixing and sending to output device. Note: Digital signal processing(DSP) is applied post-mix, i.e. global effects. There is a dedicated thread to handle DSP related requests. 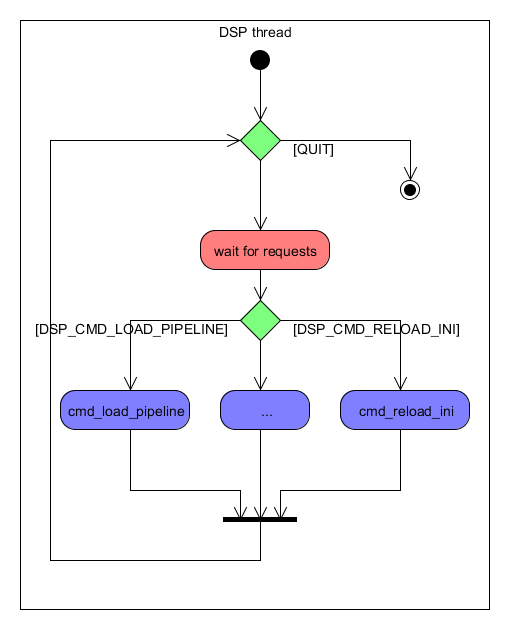 Pull-based pipeline, consists of data source, demuxers, decoders and renders. 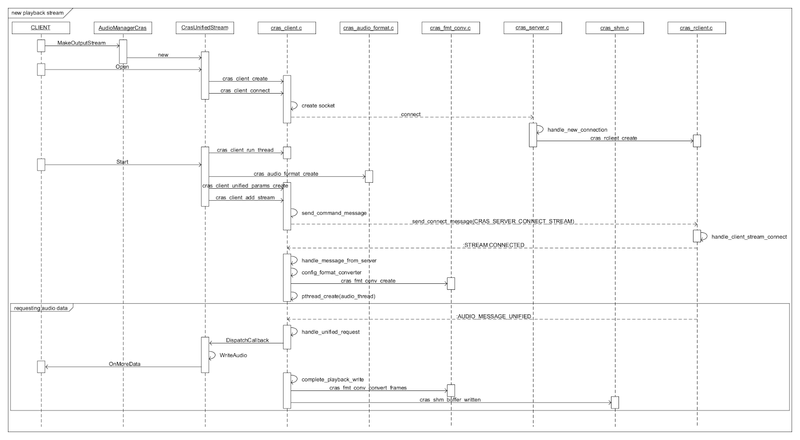 Currently IO devices enumerated with CRAS server only support up to stereo output. 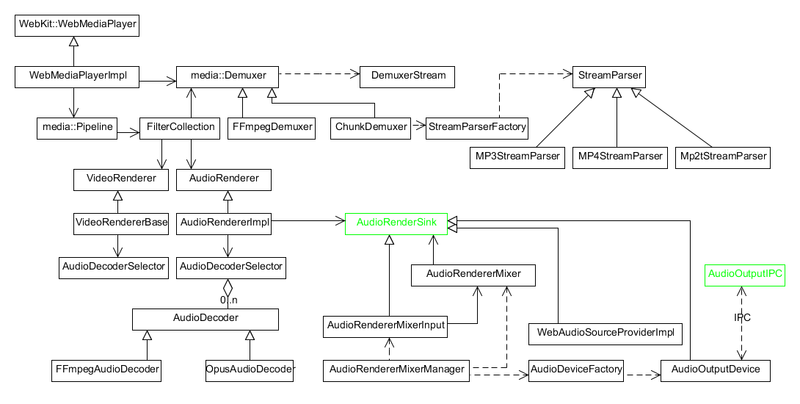 If a client requests to add a stream which isn’t compatible with iodev’s audio format, then CRAS client will perform format conversion automatically. 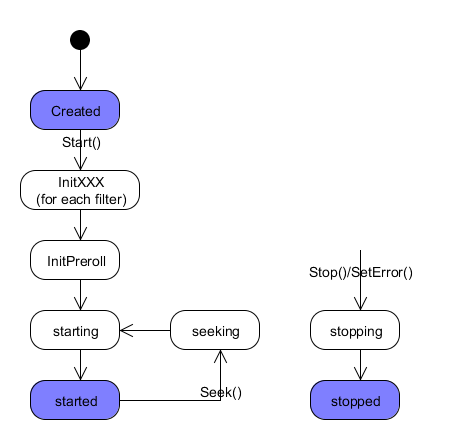 Because all applications run in browser tabs, Chromium has defined an extension API currently for audio to control CRAS parameters, such as setting volume, etc.